Mobility is key to the quality of our lives, and healthy feet are a foundation of mobility. Even so, foot pain is something that people often unwisely disregard or needlessly put up with. This can have significant consequences, because foot conditions like nerve damage and poor circulation can be indicators of other serious health problems like diabetes that require medical care, and foot problems can lead to further complications if left untreated. Foot pain in older people is also associated with an increased risk of falls. Experts suggest that around 75 percent of Americans will experience foot problems during their lifetimes. People living with obesity are especially at risk: Foot problems affect 81 percent of obese Americans, and an additional 60 percent of obese Americans are restricting their normal activities as a result. Here are the top 10 foot problems that bring people to the podiatrist’s office. Achilles rupture and other tendon disorders. These injuries are common in weekend athletes. Cycling, running, volleyball, tennis and basketball are among the sports associated with Achilles tendon injury. There is often a snapping or popping sound, together with sudden pain, when the tendon ruptures. Ankle fractures, arthritis or instability. Did you know your feet each have 33 joints that can be affected by arthritis-related inflammation and swelling? Pediatric and adult acquired flatfoot. An acquired flat foot can result from various foot problems including arthritis, injury, and problems with the tibial tendon, which holds up the arch and supports the foot as you walk. The arches in infants and toddlers under 5 years of age typically have not yet developed, so flatfoot can be normal until the middle of childhood (around age 5). See a doctor if your child is experiencing foot pain. Foot fractures caused by trauma or repetitive stress. Many foot fractures happen while playing sports. Stress fractures frequently develop in runners, gymnasts and dancers. See a doctor if you suspect a bone is broken or if there is increased pain, swelling, bruising, or difficulty walking. Stress fractures need to be immobilized, and the patient needs to keep off of the affected foot until the fracture completely heals. Paralytic foot disorders. Nerve damage or muscle paralysis in the lower leg can cause disorders such as foot drop. Patients with foot drop are unable to lift the front part of the foot, which may end up in dragging on the ground while walking. The patient may attempt to compensate by raising the thigh as though climbing the stairs, resulting in an abnormal gait. Foot drop can be a symptom of a neurologic disorder like stroke. Bunions and other disorders of the big toe joint. Every time you push your feet off of the ground, your big toe is supporting most of your weight. A bunion is a bony bump in the joint, usually at the base of the big toe, sometimes painful. The big toe may slant towards the second toe. Some bunions are caused by arthritis or injury; some are caused by a foot type that runs in the family. The solutions range from better-fitting shoes to podiatric surgery. Nerve disorders. 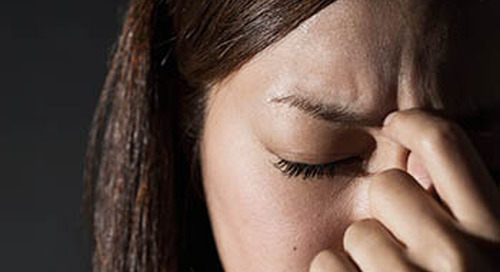 These disorders include peripheral neuropathy and neuromas. Neuropathy is nerve damage, and in the feet or toes its symptoms include shooting pains, burning, tingling, or numbness. A pinched nerve (neuroma) is a painful, benign growth of nerve tissue between the toes and the ball of the foot. Patients feel pain between the toes while walking, like a stone in the shoe. Neuromas often develop in the feet of women who wear high heels that squeeze the toes together. Heel pain. There are many causes of heel pain, including abnormal gait, injury, arthritis, being overweight, or having an inflamed Achilles tendon. Plantar fasciitis is a common source of heel pain associated with a strained band of connective tissue that runs along the bottom of the foot from the heel to the ball of the foot. It may go away when you sleep, but it will likely return the next day when you start walking again. Sports related and overuse injuries. Common sports injuries of the foot include sprains, fractures, heel spurs, and tendinitis. Tendinitis is inflammation of a tendon, a thick connective cord between muscle and bone. 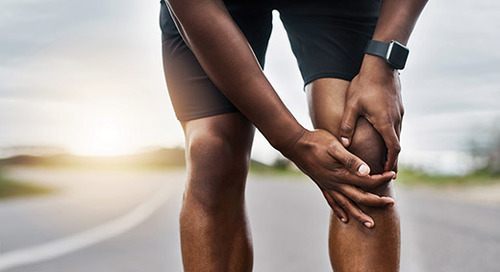 In the case of the Achilles tendon, which connects the calf muscles to the heel bone, tendinitis is usually a result of overuse. The back of the ankle near the heel will feel painful and stiff. Any type of sport that involves pushing off or going up on the toes, such as soccer, football, basketball, or running, can cause Achilles tendinitis. Preventing tendinitis is one the reasons it’s important to stretch before and after playing sports. Need to see a provider right away for a sprain or strain? Swedish Express Care is in your neighborhood. Book a visit online. Rheumatoid foot and other joint disorders. Rheumatoid arthritis (RA) causes the immune system to misfire and attack otherwise healthy joints, often causing the lining of the foot joints to become inflamed. The inflammation causes excess fluid to build up, resulting in painful swelling and damage to cartilage and bones in the joint. Complications of RA that affect the foot and ankle can include painful lumps, hammertoes, dislocated toe joints, and other deformities and conditions. Of those who experience foot pain all or most of the time, 79 percent would lead a more active lifestyle if their feet did not hurt. If you have foot pain or injury, learn more about Swedish Podiatry, give your feet the expert care they deserve, and get back to the activities you love. The new Swedish Health Connect app for your mobile device gives you everything you need to conveniently manage your health, including scheduling appointments and connecting with your doctor. Download the Swedish Health Connect app today!